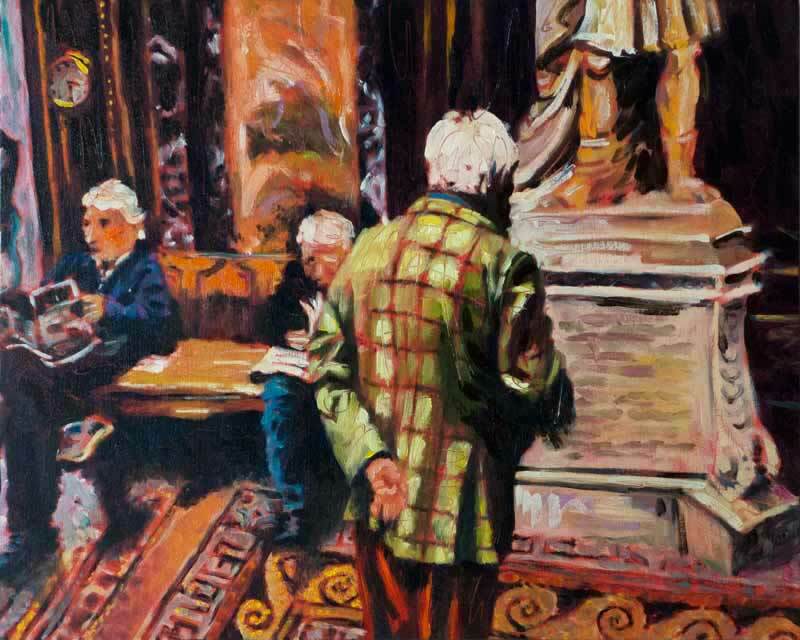 Colorful oil paintings of visitors in European art museums. These gentlemen were captured in the Fitzwilliam Museum in Cambridge, UK. Studio paintings from travels to England.